You'll get in some beach time at Bellevue Beach and Vepsa Island. Naantali Old Town and Aboa Vetus & Ars Nova are good opportunities to explore the local culture. Explore Turku's surroundings by going to Rauma (Old Rauma & The Church of the Holy Cross), Hanko Water Tower (in Hanko) and Nuuksio National Park (in Espoo). 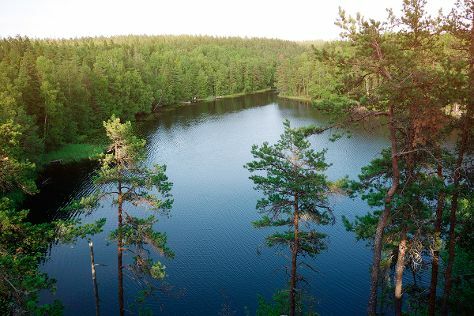 Spend the 28th (Sun) exploring nature at Teijo national park. Next up on the itinerary: explore the galleries of Turku Castle, brush up on your military savvy at Forum Marinum Maritime Centre, examine the collection at Sibeliusmuseum, and browse the collection at Turku City Library. For maps, photos, traveler tips, and other tourist information, go to the Turku day trip site . If you are flying in from Martinique, the closest major airport is Turku Airport. In April in Turku, expect temperatures between 9°C during the day and -1°C at night. Finish your sightseeing early on the 30th (Tue) to allow enough time to travel back home.